Amazing Skiing In The Heart Of Switzerland! 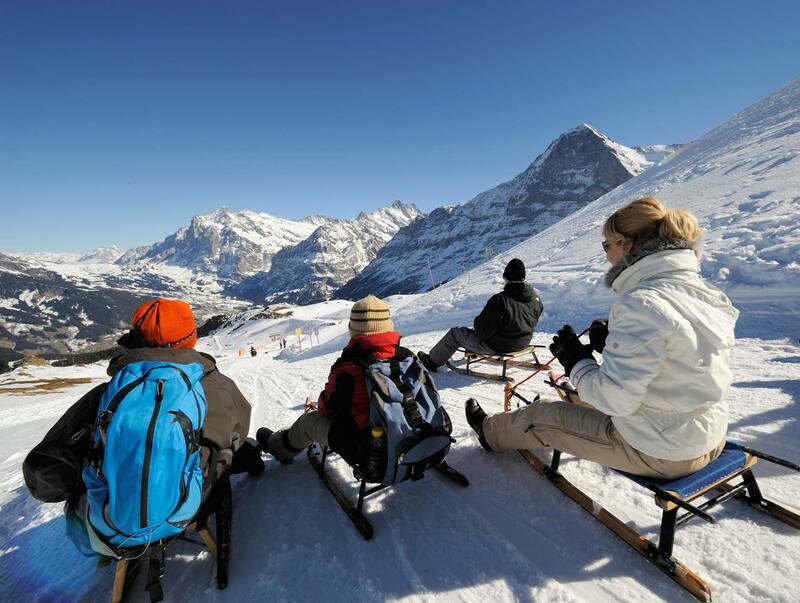 A unique trip with stunning views of the Eiger Northface, cheese foundue & thrilling night sledging! The Jungfrau region is also called "The Roof Of Europe", with the 3 peaks of the Monch, the Jungfrau and the stunning Eiger, all above 4000 mt, to guarantee good snow conditions throughout the entire ski season! Thanks to the strategic loaation of our hotel in Grindelwad, we have 2 ski areas within super easy reach from the hotel: the Grindelwald-First ski area can be accessed with a 10 minutes walk or a short bus ride from our hotel.... but if you don't feel like walking, you can simply jump on the train (just at the doorstep of our hotel!) and enjoy a comfortable, scenic 20-min panoramic ride up until Kleine Scheidegg. 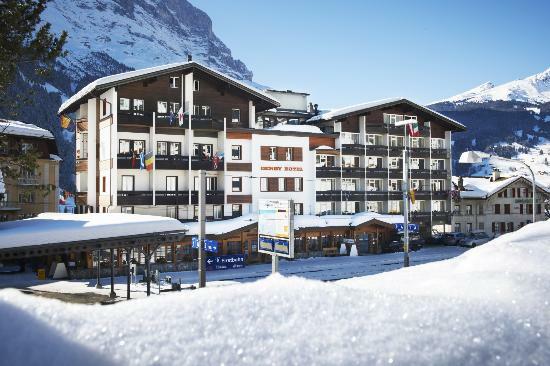 You will get off at 2000mt, under the stunning Eiger northface and right in the middle of the Jungfrau ski area! 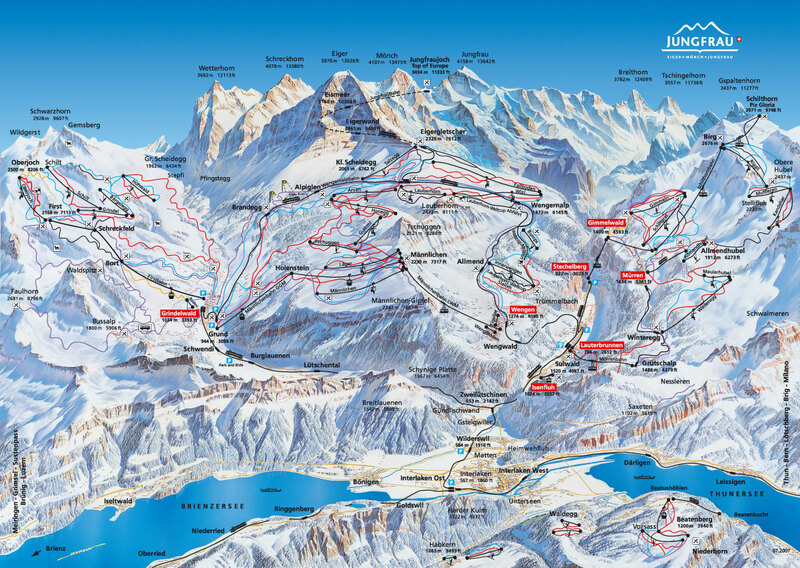 There are runs for every ski level, including the famours Lauberhorn World-Cup run, and plenty of possibilities for skiing off-piste. This is the highlight of the trip for the most adventurous ones! Do you think sledging is something for kids..? Then you never tried it in Switzerland, they're real professionals over there! The program is typically the following: we take a front-light and jump on the last train up to Kleine Sheidegg, enojoy a cheese foundue up at the top of the mountain... and then sledge down all the way to Grindelwald following the so-called Eiger Run! We are staying at the Derby Hotel in the heart of the Grindelwald village, and directly in front of the train tracks (as you can perhaps see in the picture...! ).